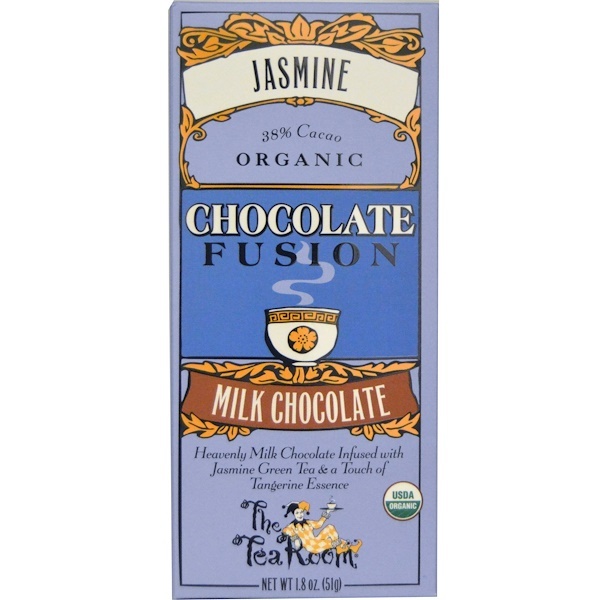 Heavenly milk chocolate infused with jasmine green tea & a touch of tangerine essence. Indulge your palate…with an exquisite medley of flavors: premium organic milk chocolate from Europe, organic jasmine tea from china, and organic tangerine essence from local suppliers. Let it melt on your tongue, while you unwind. The smoothness of chocolate and the aromas of tea titillate the senses. Relax for a moment and transport yourself to a Parisian tea salon. The flavors are authentic and masterfully combined by our chief chocolatier, Heinz Rimann. His electric culinary journey began in Switzerland, wound through London to DR Congo, Hong Kong and finally San Francisco. A passion for teas from around the globe brought him to start a patisserie and teashop, known as The Tea Room. 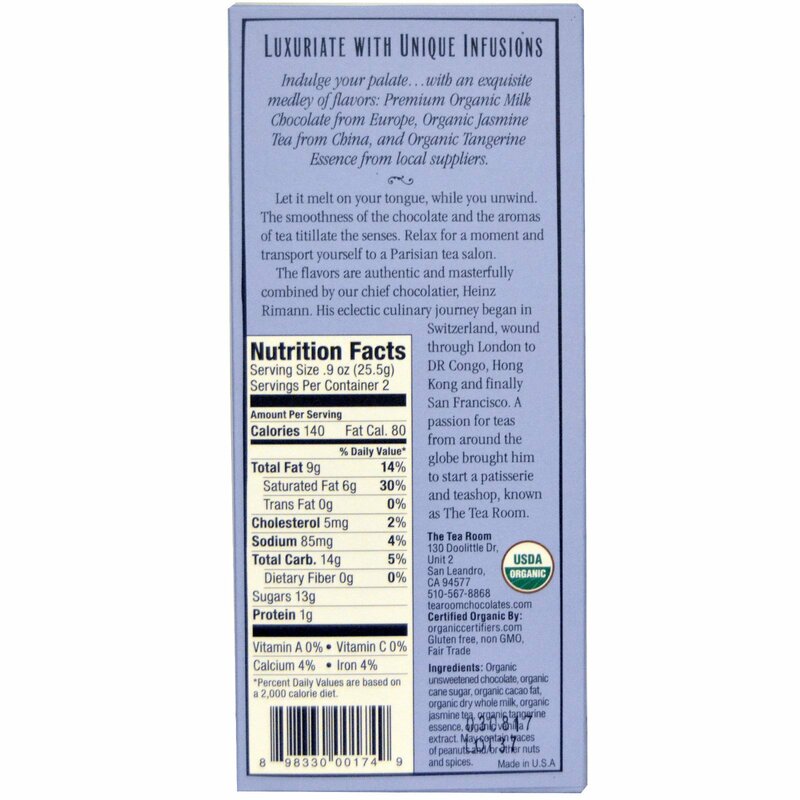 Organic unsweetened chocolate, organic cane sugar, organic cacao fat, organic dry whole milk, organic jasmine tea, organic tangerine essence, organic vanilla extract. May contain traces of peanuts and/or other nuts and spices.